As I am working on this collage the rain is coming down with buckets. Even Rihanna’s umbrella couldn’t help to protect my summer dresses from getting soaking wet in this pouring rain. Mother Nature has been moody lately and has given us everything except bikini and Sangria weather. And although the air after a thunderstorm feels kind of exotic, I took to the internet to get back some of that summer-feeling. I have not one single vacation planned for the summer, but still I find myself surfing the internet looking for the perfect bikini. Just in case. My search lead me to an old love: Calzedonia. I always knew Calzedonia for their good-quality yet affordable tights (as seen here) and only discovered their swimwear line when I was in Italy two summers ago. I tried on a cobalt blue number in their store in Bologna, but had already spent so much it wasn’t reasonable to bring it home with me. At the time, we didn’t have Calzedonia stores in Belgium (the closest to me was Düsseldorf I believe), but luckily times change. A store has opened on the Meir in Antwerp not too long ago and I have been wanting to go take a look at their SS15 swimwear collection. The bikini with the bright pink Hawaiian print is my absolute fave of the bunch and I’m also really loving the green-light blue one. Prices range between €30-40 for a set, but if I remember correctly everything can be bought separately as well meaning you can mix and match just as much as your heart desires. I’m all about that!So while I wait for the dark skies to clear up, I’m going to dream up Caribbean holidays or check airline sites for cheap tickets to the sun. I hope you guys enjoyed this post and if the weather allows I’ll see you on Monday with a new outfit post! note: this post is not sponsored, but part of the TGD overhaul. Wat een prachtige bikini’s allemaal! Ik hou van bloemetjes! Ik ben nog op zoek naar een vakantiebestemming, maar alles is zo duuuur 🙁 We zien wel! Oooh I love the stripy green one in the bottom right! 🙂 I have quite a collection of bikinis, I’ll see how I feel about getting back into them next summer. I stuck to my one-piece this past summer after baby, I’m nor ready to get back into a bikini quite yet! I wish I could afford a real vacation this year, but it’s just not in the cards. You should go, and post about it so that I can live vicariously through you! I’ve never heard of this brand. I’ll be sure to check them out. I’ve had a slight bathing suit addiction lately, but I think it’s at bay right now. I hope you find a easy vacation for the summer! I feel that we won’t really have a true vacation this year either; we’ll spend all of our vacation time and money moving, and that doesn’t really count haha. I really love these suits! And they’re priced so well! I love the blue one with the green behind the eyelets, even though that’s not something I would typically be drawn towards. Maybe it would work well on me though! These are some adorable bikinis! I agree, the Hawaiian one is my fave too. I splurged on a plain black bikini top from Freya (a bra company) so that my neck isn’t in pain from the weight of my chest! Since I won’t be living by the beach again for another year, I’m not letting myself buy a new suit until then! 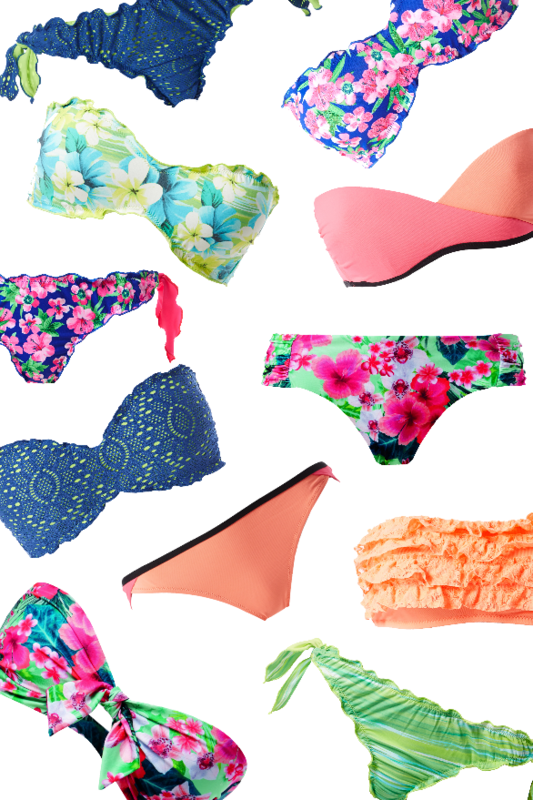 Such pretty bikinis, I really love the flower print ones – this is makign me want to go on holiday! De bikini’s met bloemetjesprint zijn mijn favorieten! 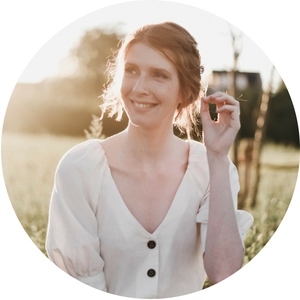 Zoveel zin in zomer nu, allemaal leuke items heb je uitgekozen!